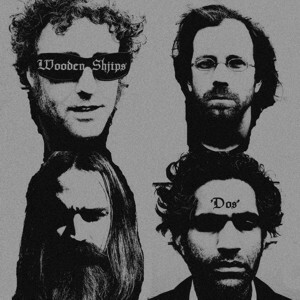 San Francisco's mysteriously named Wooden Shjips have always struck me as sounding like The Doors if The Doors had been a Krautrock band. Dos, their aptly titled second full-length continues that juxtaposition. Wooden Shjips have perfected a basic sound from which pretty much all of their compositions arise. It includes churning, distorted guitars noodling over driving, motorik rhythms; mumbled, echoing Morrison-esque vocals and swirling, trippy organ. Now that's not to say that every piece sounds the same. The band shakes it up with varied tempos and rhythms and freaky guitar effects. But it's all based around their stock formula. Fortunately at album two, plus a series of singles, it's a formula that hasn't worn thin, at least not quite yet, making Dos another groovy listen from these modern day tripsters. Though I'm thinking if they plan to do a third album, they best start working on some new directions to take their music.